If you have decided to call it quits on your job, then be prepared to write a letter of resignation before you resign from the organization. A letter of resignation samples is considered as a prior notice of your decision to leave as well as your duty towards the organization. It is a necessary courtesy. But if you have no idea about the format, Resignation Letter Samples are available for your guidance. 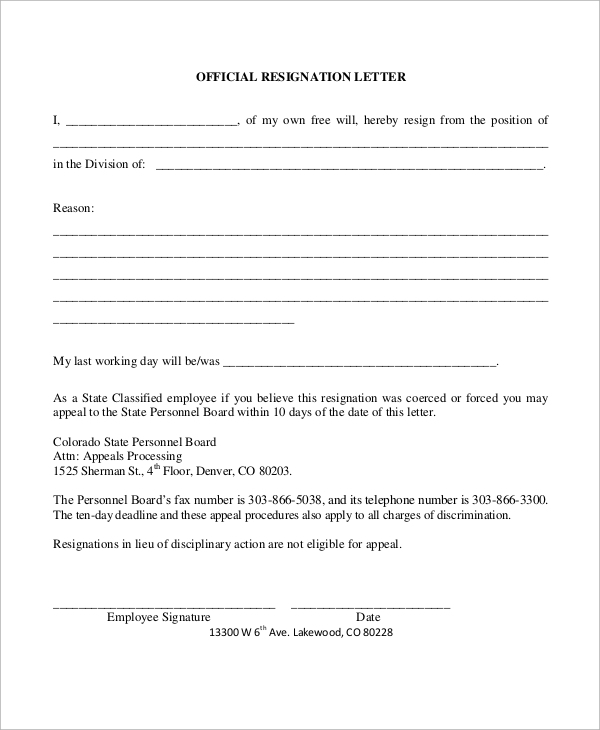 It is a short and precise application stating your reason for resigning and regards. A letter of resignation can be written and submitted to the concerned authority two weeks before your day of leaving. It consists of 3-4 sections stating your decision to resign and last date of working, the reason for resigning, your work experience at the organization and a sincere closing with regards for the company. 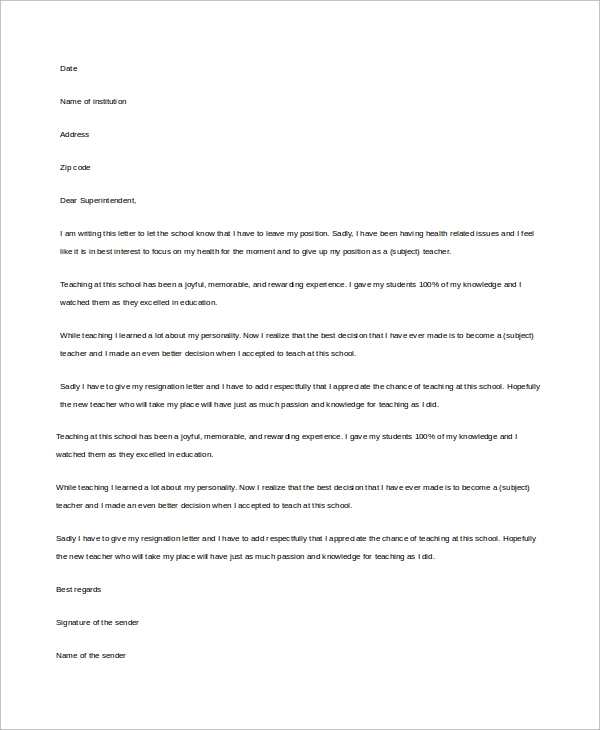 A letter of resignation for teachers also follows the same rules of brevity and clarity. It should contain 3-4 paragraphs describing your reason for resignation and your experience with the school. If possible, you can also add your work experience and good luck wishes for the school’s future. The language should be formal. 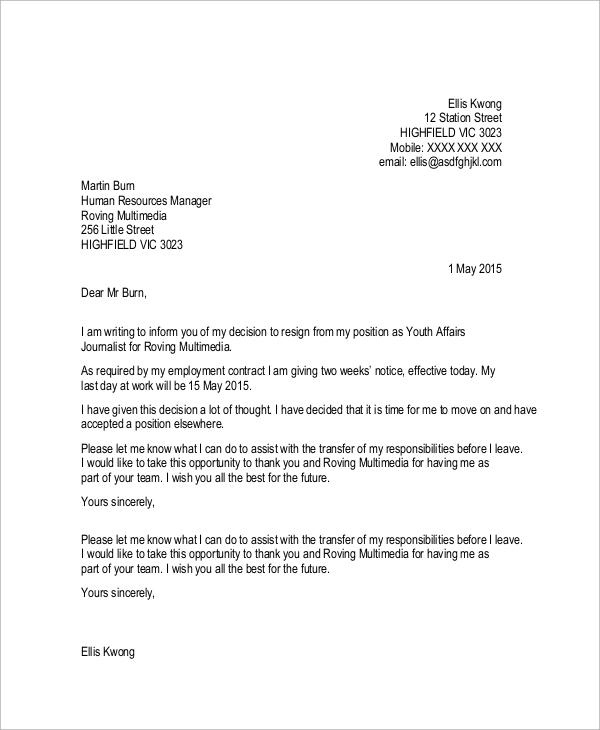 A formal letter of resignation follows an entirely different format. It is written in a box and is extremely short. It should be positive irrespective of your feelings towards the company. It is usually submitted at least two weeks earlier to your last working date. This letter states the last day and date of working, reason for resignation and a short note of appreciation. For quitting your professional job, a correctly written letter of resignation is needed. 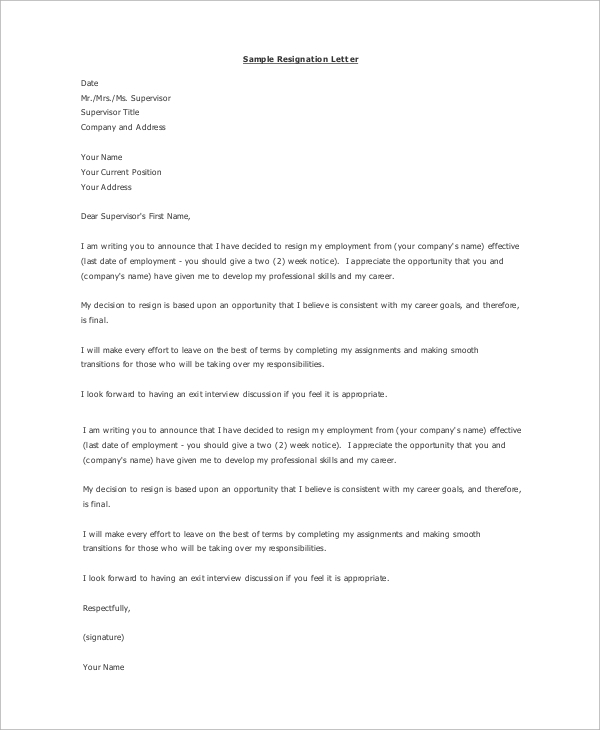 It is addressed to the concerned authority or supervisor of the company with the subject of the application of resignation. It contains your reason for quitting and last day of working. It can also request for an exit interview, if possible. A letter of resignation should be written in a short and concise format to state your decision of leaving your job. It consists of your name and address and is written in the shortest possible structure describing your experience with the company. 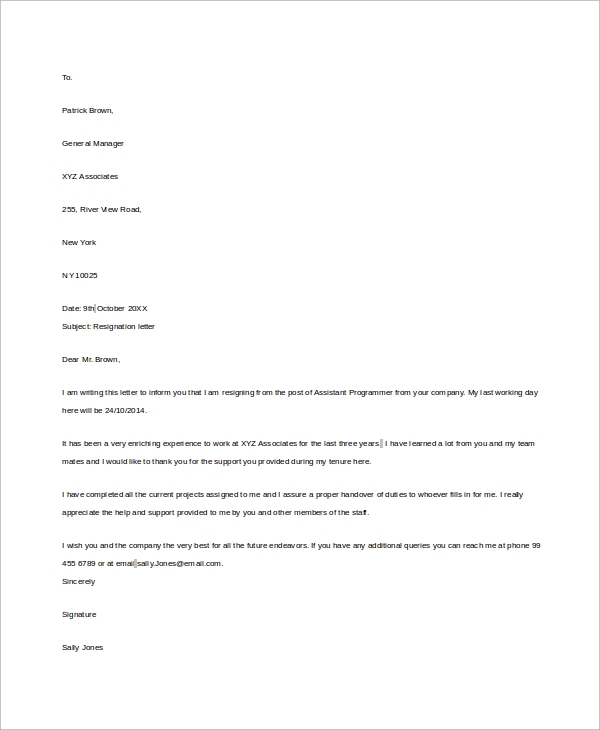 What is the Use of Resignation Letter? There is going to be a time when you will be required to leave your job. It is at that point when you require a letter of resignation. It is a document that will serve as your means to state the decision for resigning from your respective position to the company. A letter of resignation is a necessary formality to be fulfilled while leaving any organization to get all the dues and certificates. It is useful for the company as well as the sender to state the necessary details regarding your decision for resigning. Therefore, a Sample Letter of Resignation is compulsory as well as useful for announcing your consent to the supervisors and co-workers. What are the Benefits of Resignation Letters? 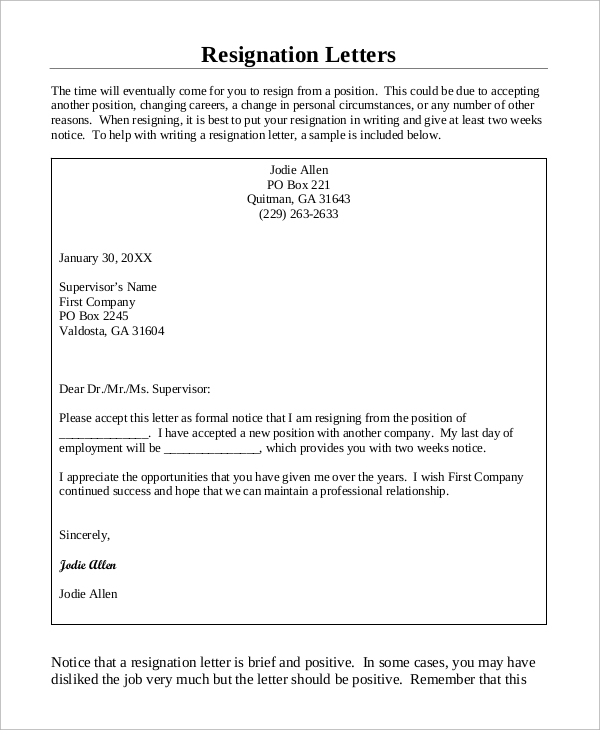 A letter of resignation is regarded as a document of statement for your decision to leave the organization. It is beneficial for the recipient as well as the sender. For the recipient, it is a means of prior notice informing about the employee’s decision to leave. For the sender, it is a document stating the resignation, reason, last working day and date and the work experience. 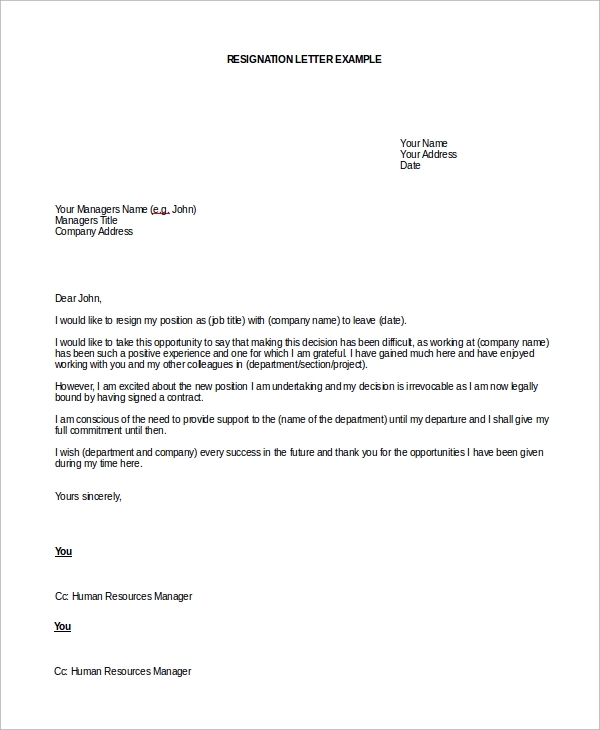 A letter of resignation is strictly essential before leaving a job as it notifies the company supervisors or human resource people to get your documents and certificates prepared beforehand. It is thus, a beneficial sheet of notification. The Professional Letter of Resignation Samples can be referred while writing a letter of resignation for the first time. It will help you find the right format and correct language. When you decide to quit your job, it is mandatory for you to write and submit a letter of resignation as a prior notice to the employer.